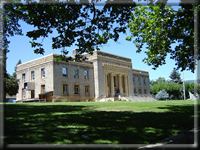 Lassen Superior Court is one of the fifty-eight subdivisions of the California trial courts and sits at the Lassen County seat of government in the City of Susanville. Historically, the courts in Lassen were comprised of several Justice Courts (courts of limited jurisdiction equal to that of municipal courts) and one Superior Court department. 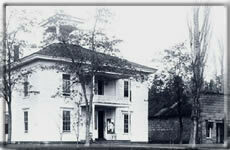 The Justice Courts served subdivisions of the County and were located in Standish, Susanville, Westwood, Ravendale, and Bieber, and were presided over by lay judges. A process of consolidation began in the mid 1900's with the Standish and Ravendale courts being merged into the Susanville court, and ended in 1976 with the merger of the Westwood and Bieber courts into the Susanville court, which then served the entire County. In 1994 the name of the Justice Court was changed statewide, and all courts of limited jurisdiction were thereafter called Municipal Courts. 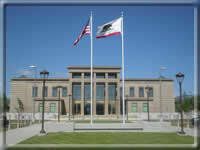 In 1999, in order to achieve greater efficiency in the allocation of judicial resources and balance the work of the Courts, the two judges of the Lassen courts elected to unify the Superior and Municipal Courts into one general jurisdiction trial court for the County, the Superior Court.